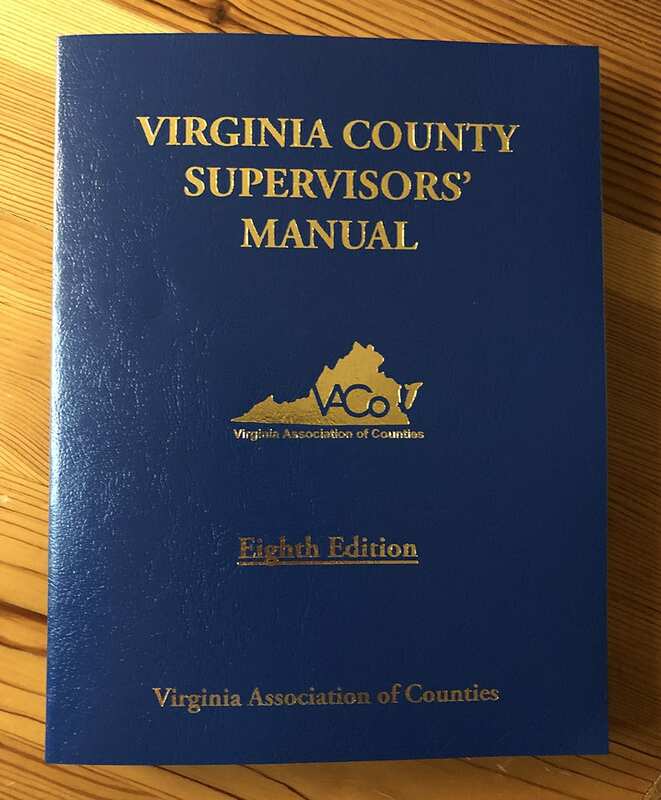 This manual was developed as a quick reference guide to the more common activities associated with the Virginia Department of Transportation (VDOT). 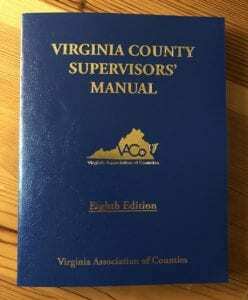 The purpose of this manual is to provide new members of the County Board of Supervisors, or other public officials, with a better understanding of the Department. The topics cover the activities most commonly performed by the residency and district offices, and may assist in answering questions generated from constituents. This handbook contains valuable information for county supervisors and other interested parties. The Eighth Edition is now available! To get your copy, complete the order form and mail it with a check for $75 per manual made payable to VACo Services, Inc., 1207 East Main Street, Suite 300, Richmond, VA 23219-3627; or fax with credit card information to 804.788.0083. For further information, please call Valerie Russell 804.788.6652 or vrussell@vaco.org. Order the Board Meeting Procedure in Virginia booklet revised to meet the the most recent Virginia Statutes. Authored by registered parliamentarian and New Kent County Supervisor Stran L. Trout, this handy guide has all the requirements you need to know to have an efficient and formal board meeting. This is a must have for all county officials! The booklet costs $10 per copy.